Maybe you’ve noticed the way the girls turn their backs on her and laugh as she approaches her locker. Maybe you’ve seen the look of fear on his face as a group of athletes saunter up the hallway and one of them hollers, “Hey guys look who it is!” Chances are pretty good that, at some time, in some place, you’ve had a front row seat to a kid being put down, laughed at, intimidated, or hurt. In other words, you’ve seen bullying in action. And, you did nothing. Maybe you were too scared to speak up. Maybe you didn’t think it was that big of a deal. Maybe you were already late for class and didn’t have the time to intervene. So it went on one more time. And somehow you missed your chance. You missed your chance to be a hero. That’s right, you, a hero! Sort of like the hero you pretended to be when you were just a little kid, cape and all. The super cool one in the movies and the books. The one who stands up for the little guy. The one who uses her voice to speak out against injustice. The one who does it, not because he’s is trying to be a hero, but because he’s trying to do the right thing. Sure, the heroes on the big screen have an arsenal of high tech gadgets and really cool super powers, and you don’t. Yet, the fact remains that you still have the chance to be a hero. Pretty amazing, isn’t it? You don’t have to have the cape and fly, or be able to smash cars with your bare hands, or shoot heat rays out of your eyeballs. You just have to be you. Yep, you! The you who decides to stand on the heroic principles of right and speak out about what’s wrong. That’s it. The power of a superhero isn’t in the cape and the fancy gadgets, it’s heart. It’s heart that musters up the courage to stand up and speak out when things are wrong. Courage, guts, heart, these are the greatest weapon any true hero can wield. Statistics ( yeah, you maybe should have listened a little more in math class) say that bullies stop bullying 60% of the time when a hero like you intervenes. Think about that! 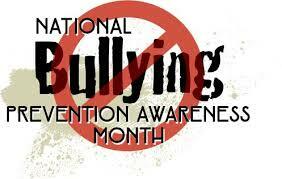 Over half of the situations that occur where someone is being picked on and bullied actually stop! They cease when a hero like you steps onto the scene and speaks out about what is wrong. Now that’s heroic power in action! I don’t need to tell you that picking on someone is wrong. I don’t need to tell you that intimidating someone else is wrong, or using words to devalue somebody is wrong. It goes without saying that posting nasty stuff on social media about someone is wrong; that hitting, hurting, or belittling another fellow human being for any reason at all is wrong­­­­, ALWAYS! You’re smart. You already know that stuff! But here’s the thing: knowing and not doing something about it, well that’s not smart. Like I said, you’re smart! When you take what you know and apply it to what you do then you’re smart and strong! Sure sounds like the making of a hero, huh? Do you know what else is cool? The more you stand up for others, the more you speak out against wrong, the stronger you actually become yourself! So, the next time you see someone being picked on or bullied, stand up and speak out! All writers on Op-Ed page are here to inform and acknowledge issues of importance to our communities; however these writings represent the views and opinions of the authors and not necessarily of the Advertiser.